M.D., University Hospital Cologne, Germany. 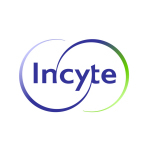 inhibitor invented at Incyte that was licensed to Novartis in 2009.
visit the Company’s website at www.incyte.com. contain predictions, estimates and other forward-looking statements. intent or obligation to update these forward-looking statements. MET?ex14 mutated advanced non-small cell lung cancer. Abstract #LBA52. Globocan. Lung Fact Sheet. Available at http://gco.iarc.fr/today/data/factsheets/cancers/15-Lung-fact-sheet.pdf. Rationale. Mol Cancer Ther. 2017;16(4):555-565. Cell Lung Carcinoma with Poor Prognosis. Clin Cancer Res. Lungevity. Targeted Therapy: What is driver mutation? Available at https://lungevity.org/for-patients-caregivers/lung-cancer-101/treatment-options/targeted-therapy.